Venus Fest is pleased to announce the second edition of the festival returning thisSeptember 20-22, 2018. The annual event is the only festival dedicated to celebrating women and non-binary artists, in downtown Toronto. Last year’s line-up featured performances by Weaves, Grouper, Lido Pimienta, Madame Gandhi and more. Founded with the intent to foster community, inclusivity and unification, based on feminist values, the festival aims to provide a welcoming and safe environment for all attendees. Venus Fest is committed to creating a shift in terms of the long standing industry trends that have dominated event programming and organizational structures by ensuring greater awareness around who has access and representation in the arts. It is this responsibility that dictates the festival’s mission to ensure a fun atmosphere that is respectful and tolerant, without enabling destructive behaviours or attitudes. The festival arrived in response to a well-expressed need in the music industry to create a new kind of space for artists to thrive in and for community members to attend with a sense of safety. 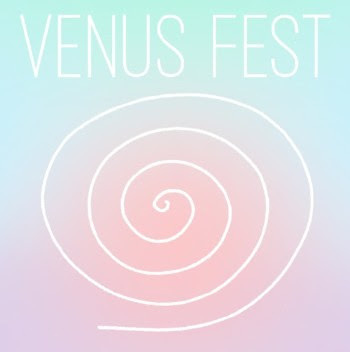 Since the success of the first edition, Venus Fest has held a monthly event series leading up to the 2018 festival edition. “The inspiration behind Venus Fest is not a new one in the world. But it does feel like the world may be ready for it now. We’re in the midst of some very powerful changes and I hope that Venus Fest can continue to grow and learn through them, and to hold out a space for people to come together and celebrate these talented artists, who are essentially the healers of our world.” – Aerin Fogel, Founder / Venus Fest. *Early bird wristbands available here.